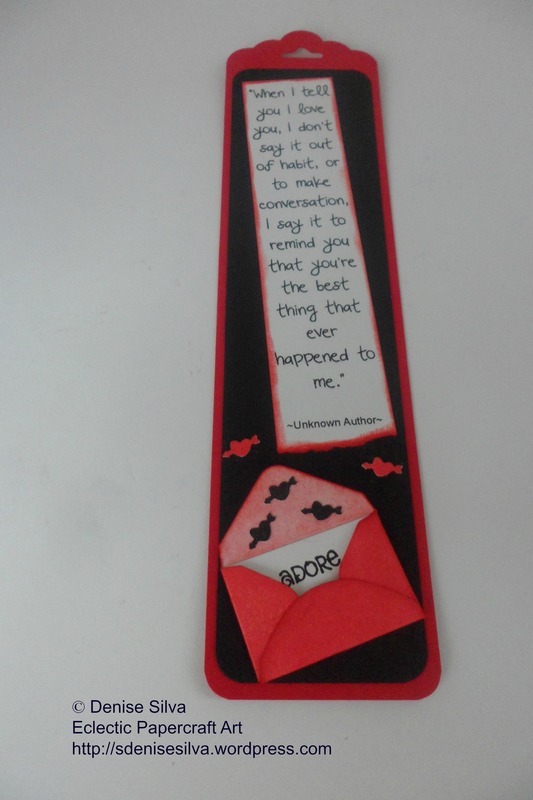 I can see this bookmark as a sweet and thoughtful gift to a romantic partner. And you don’t have to wait for a commercial date, as Teal Swan says, “Gifts are the language of love.” So, we can speak that language at any moment. The note inside the envelope is loose, so a little personal message can be added. 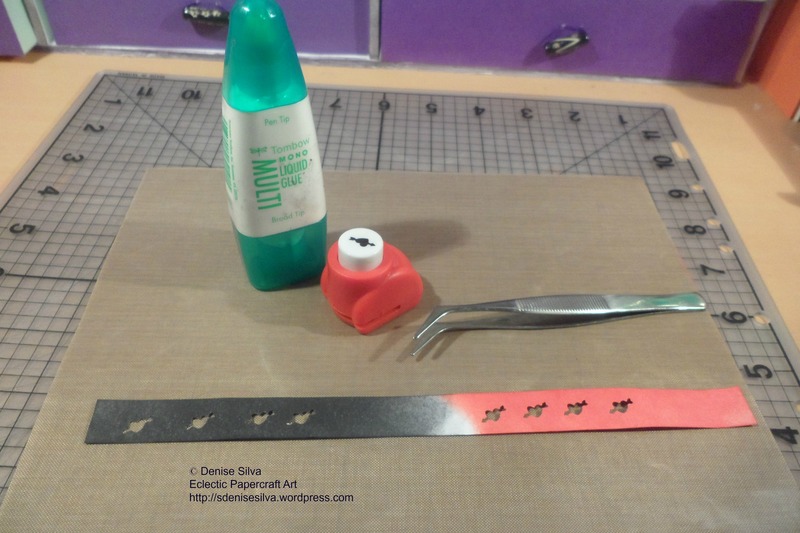 For the first layer I started by punching the red cardstock measuring 21cm x 5cm, with the Scalloped Tag Topper Punch, I just love these punches, I think they bring a really cute look to the bookmarks. I used ‘Real Red’ from the ‘Brights’ collection. 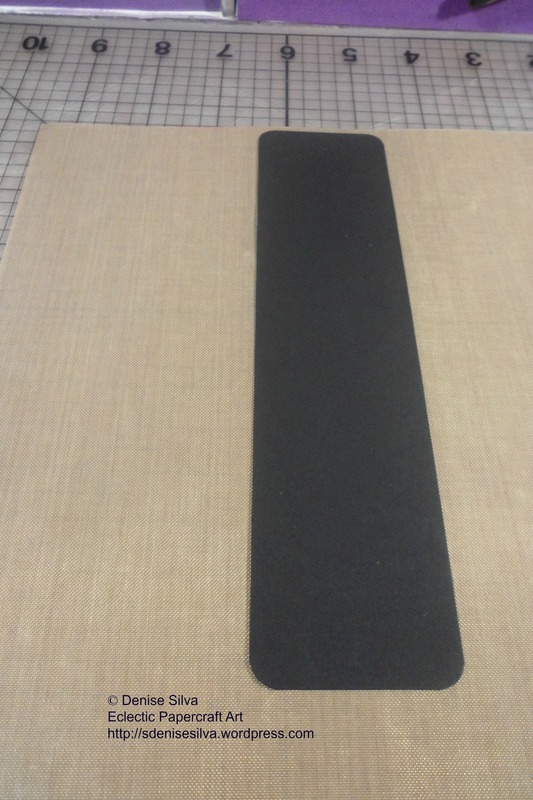 For the second layer I rounded the corners of the black cardstock measuring 18.5cm x 4.5cm. I used ‘Basic Black’ from the ‘Neutrals’ collection. 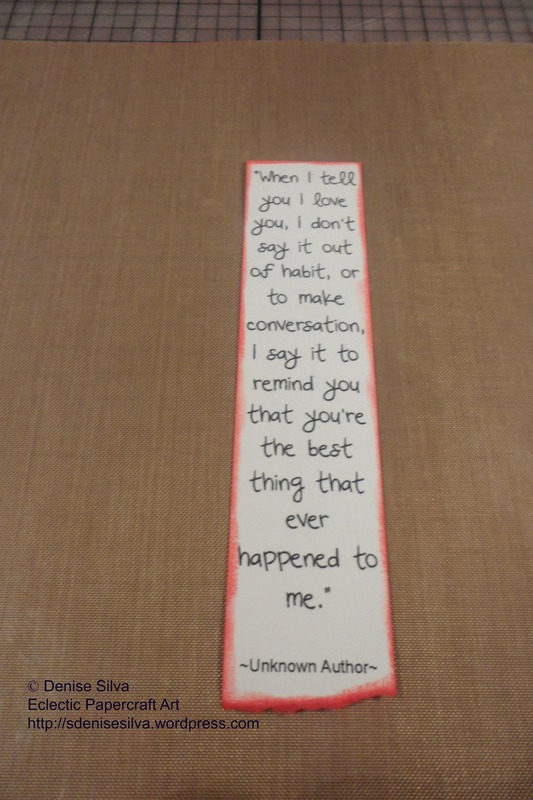 I then trimmed my quote to about 13cm x 3cm. I tore the bottom of it, just because I love the look of tore paper, and inked the edges with Festive Berries distress ink. I spent an awful lot of time looking for a mini envelope punch, and these are the moments I wish I was living in the USA… Anyway, here in the UK I managed to buy a punch by Woodware. And can’t even begin to tell you how disappointed I am. I spent a total of £11.90 for this punch, so I expected it to be a good quality one… It didn’t punch through Stampin’ Up! 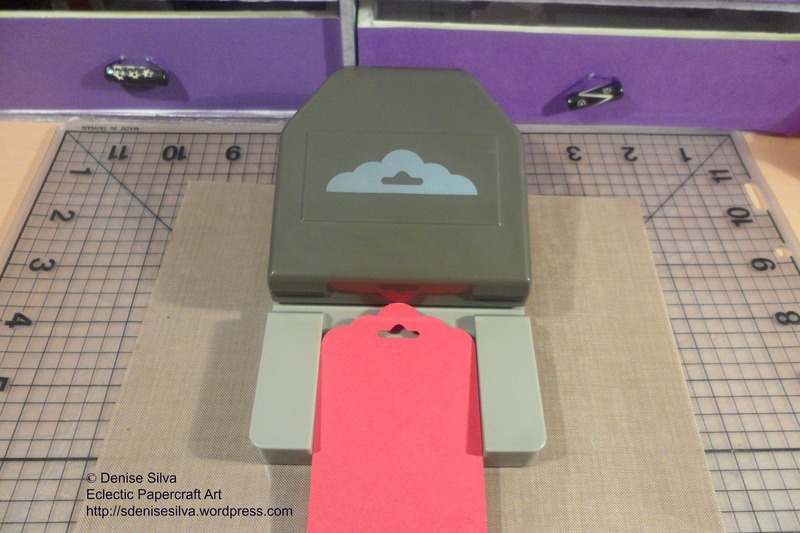 cardstock, I wanted a red envelope to match the first layer. 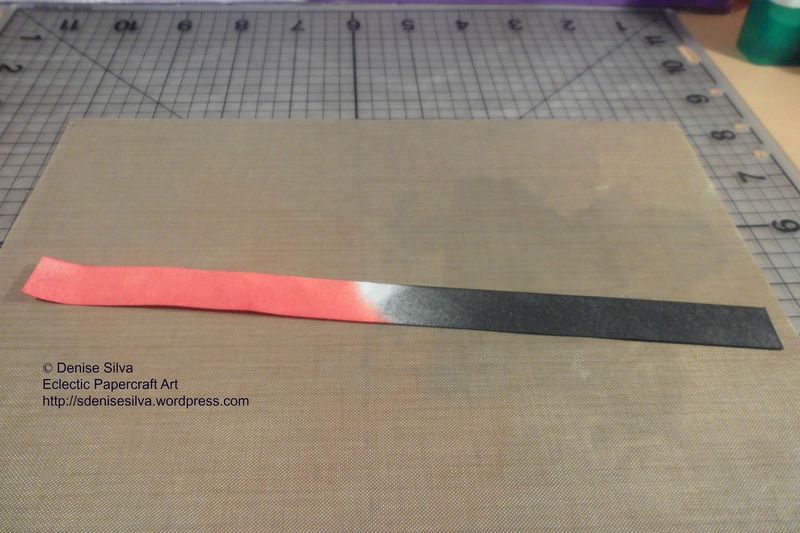 I’ve tried to punch other cardstock that I had around me, it didn’t punch too. So, I used the cardstock I use to print my quotes, which is a 160gsm, and distress it with Festive Berries distress ink. I wish I had seen this tutorial before buying this punch, and I would have invested my money in a good quality tool. 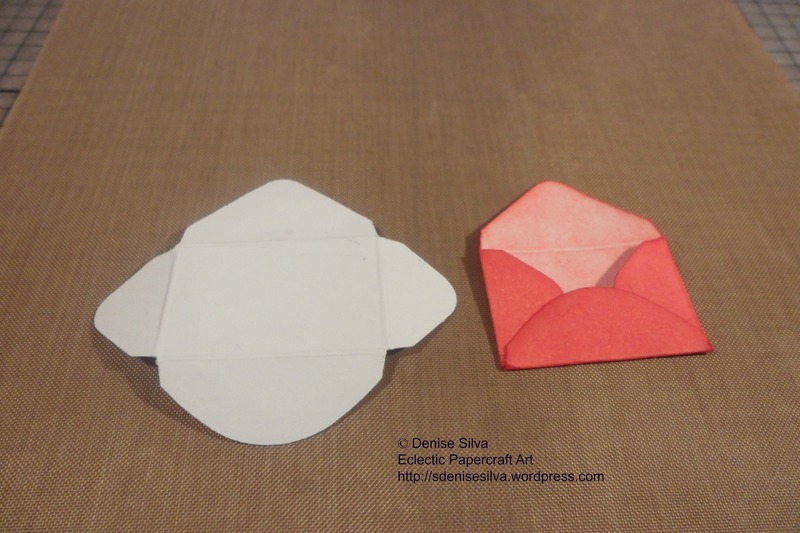 I always have pieces of scrap paper around, and even the pieces that look to small, or narrow end up being useful. I distressed a strip of scrap paper with the same Festive Berries distress ink on one side, and Black Soot distress ink on the other side, and punched out a few Cupid Hearts. I had to pull out my tweezers in order to glue them, or they would instead be glued on my big fingers!